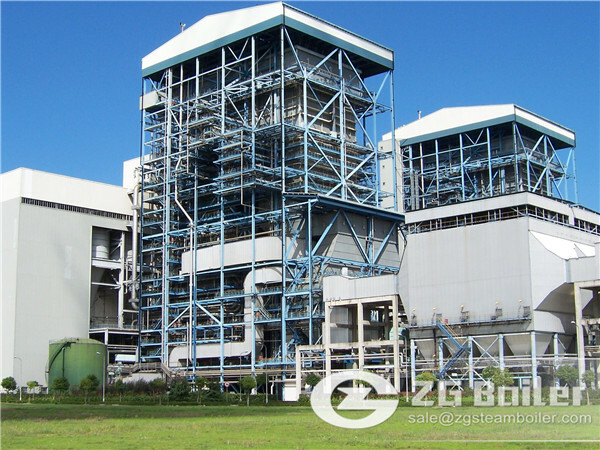 The circulating fluidized bed coal fired boiler has being rapidly developed in ZG since 1956s and becomes a key clean coal technology used in thermal and power generation. CFB Boilers have emerged as a preferred technology for cost effective steam generation due to their ability to utilize a variety of lower cost fuels while managing emissions. Biomass, low-grade coal, and waste fuels such as TDF can be effectively burned in a CFB unit. And at the same time, it is important to know how an industrial boiler system works. The key elements of a boiler include the burner, combustion chamber, heat ex-changer, exhaust stack, and controls. Boiler accessories including the flue gas economizer are also commonly used as an effective method to recover heat from a boiler and will be discussed briefly in the section best practices for efficient operation. The heart of an industrial boiler system is a hot water or steam boiler operated with a certain kind of fuel. The boiler heats up or evaporates the water inside it, which is then transported to the consumers via pipe systems. In case of hot water the transport energy is generated by pumps, in case of steam the transport is based on inherent pressure. The cooled water or the condensed steam returns to the boiler where it can be heated again. Loss of water must be compensated by treated fresh water to avoid corrosion. Flue gases created by combustion are discharged into the atmosphere through a chimney. Particularly efficient systems additionally use the residual heat in the flue gases.